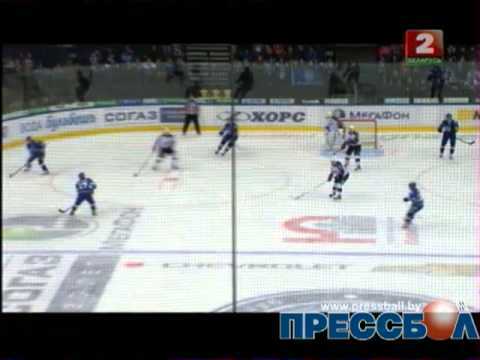 Dinamo-Minsk (Russian: Дина́мо-Минск, Belarusian: Дынама-Мінск) is an ice hockey team based in Minsk, Belarus. They are members of the Tarasov Division of the Kontinental Hockey League. On March, 26, 2008, the KHL confirmed the Belarusian club’s inclusion in the Bobrov Division. Dinamo-Minsk started to play on the ice of Minsk Palace of sports and was relocated to the newly build Minsk-Arena in December 2009. The first head coach of the Belarusian club was Paul Gardner, who was dismissed until the championship had begun. The next one became Jim House, a protege of previous Belarus national team head coach Curt Fraser. But after the first twelve games the team came down next to the last place and soon Jim House was fired out. New vacancy was taken by Russian specialist Vasili Spiridonov whose efforts were not enough to raise Dinamo-Minsk from the bottom of the tournament table. The club became the 22nd from 24 teams. The next season team began under command of Glen Hanlon, who brought the Belarus national team to the sixth place at WC2006 in Riga. The team roster was fulfilled with world famous players Ville Peltonen and Ossi Väänänen, also one of best the Belarus goalkeepers Andrei Mezin was attached to HC Dinamo-Minsk. Season of 2009/20010 was alike to the previous. Team hadn’t showed good result and Glen Hanlon was substituted by head coach of HK Homiel. Dinamo-Minsk took the 17th in the championship of KHL and won Spengler Cup under the guidance of Alexander Andrievsky. Season 2010/2011 became the best season in KHL history of Dinamo-Minsk. The new head coach of the team became Marek Sikora. Pan Marek is widely thought as one of the best coaches of Kontinental Hockey League. He brought Metallurg Magnitogorsk to final games in 2005 and a rookie of KHL Avtomobilist to KHL play-off in 2010. Dinamo-Minsk under his command managed not only to get to the play-off, but stayed in one step from quarterfinal when Lokomotiv defeated the club in decisive game. 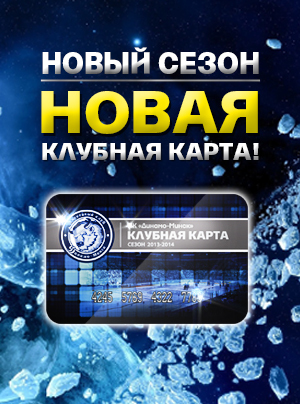 Also Dinamo-Minsk was named as most attended club in KHL in season 2010-2011. The new season of Dinamo-Minsk was to have begun on September, 8, 2011 versus former play-off opponent Lokomotiv Yaroslavl. However, on September 7, 2011, a plane carrying the Lokomotiv team to the game in Minsk crashed shortly after takeoff, killing all of the team’s roster. Four days later, a memorial ceremony took place at the Minsk-Arena, with all Minsk players paying tributes to each one of the victims. Team during season 2011-2012 played as leader of League and managed to solve the main task to get to play-off from the place not lower than 7th in the Western Conference. Unfortunately, our team did not manage to qualify into second round of play off. Minsk team had lost to the future Gagarin Cup holders to Dynamo (Moscow). After the end of the season head coach Marek Sikora had left the team and was replaced by Finnish сoach Kari Heikkila. 5th season in KHL started out of play off zone. Thus lead to changes in coaching staff. Alexander Andriyevsky is appointed Acting head coach as of October 12. During lock out in KHL Pekka Rinne (Nashville), Evander Kane (Winnipeg) and Joe Pavelski joined Dinamo. Dinamo-Minsk had leading average attendance in KHL (nearly 15000 thousands) and second biggest average attendance in Europe.